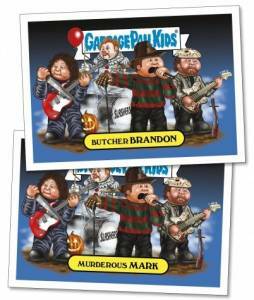 2017 Topps Garbage Pail Kids Best of the Fest highlights all of the excitement from the summer’s popular music festivals. Naturally, every artist receives a satirical twist for the online exclusive set. 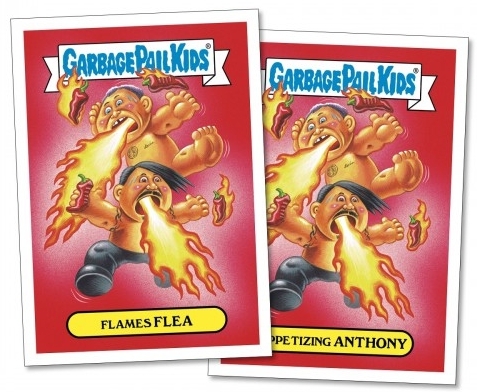 Of course, no one is off-limits as 2017 Topps Garbage Pail Kids Best of the Fest includes legendary rockers Flea and Anthony Kiedis from the Red Hot Chili Peppers, and Pink!. 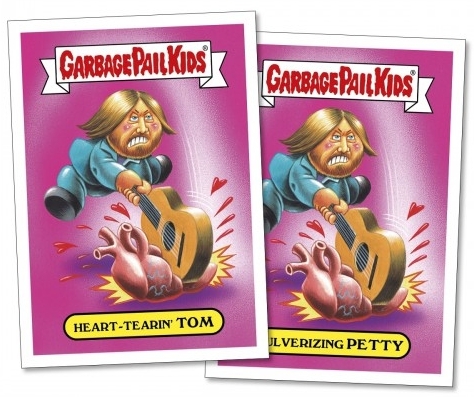 Even Tom Petty & The Heartbreakers make the comical GPK lineup. 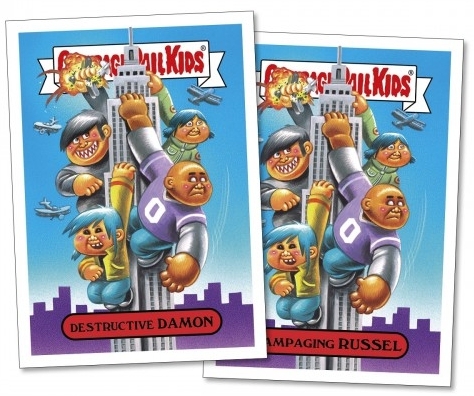 The 18-card sticker set includes two cards per subject, meaning there are two different card titles on the same image. Collectors can purchase individual subjects—consisting of both title cards—for $9.99 or as a full set for $44.99 via the Topps Online Store. 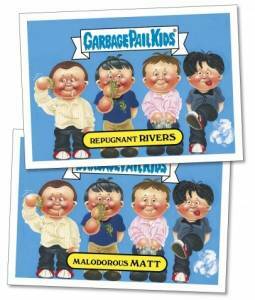 2017 Topps Garbage Pail Kids Best of the Fest is sold for one week as an on-demand set, therefore production is limited to the number ordered during the sale period. The final print runs will be added once they are announced. 18 cards. Shop for Best of the Fest at Topps. 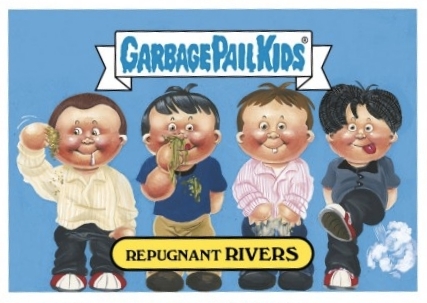 The titles are different but the images are the same for all 9 GPK cards. 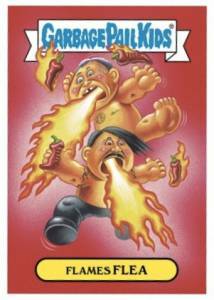 Enjoy more related Garbage Pail Kids Trading Cards sets.